Campbell creates a bewitched place with a stoner’s logic – composing crowded pictures of frantic and unhinged singular characters in a state of being or arrival. 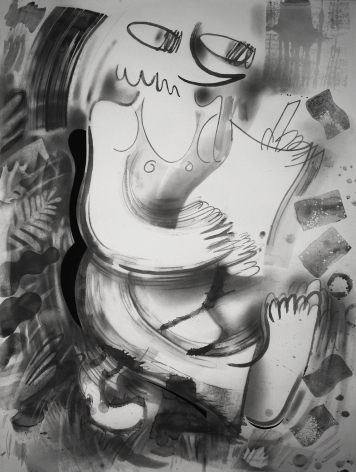 Charged with a kind of longing and desperation, with an underpinning of anxiety, and conversely perhaps, boredom, the figures in his drawings dip their toes into a hot tub of zany, swirling, curvilinear exuberance. The mercurial space within these images feature blunt forms over unsteady compositions, and delicate shifts in value to create a hypnotic conflict of surface. The space is nearly hieroglyphic or taxonomical, yet everything is wobbly. It's as if the figures had just been electrocuted – motionless but buzzing with impossible energy. 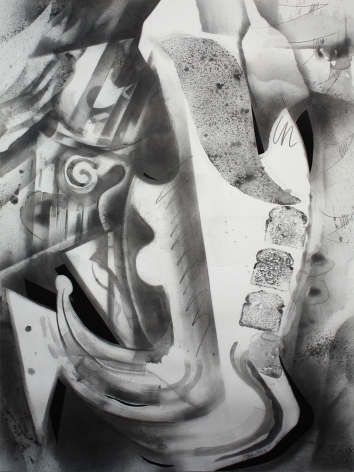 The drawings are limited to monochrome, with streaks of jet black, and employ an indulgent use of techniques and tools, from printing with cut vegetables, socks, and underwear, to painting with graphite washes through spray bottles and rollers. The silvery gray tones in these drawings display elegant lines with sensitivity, yet the works remain frenetic and primitive in their jarring immediacy and rawness. 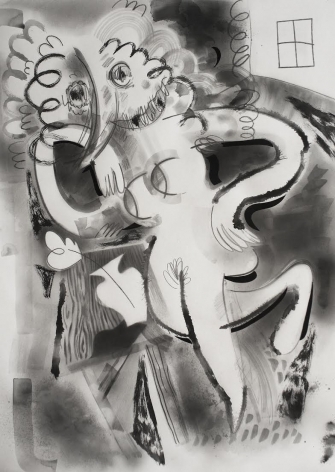 The furious force and off-kilter, languorous figuration belies the cramped and totemic, comedic, mask-like forms that Campbell's characters embody. Campbell’s thought is that these drawings serve as alternate identities, insecurities, and provocations of the inner life of an artist. 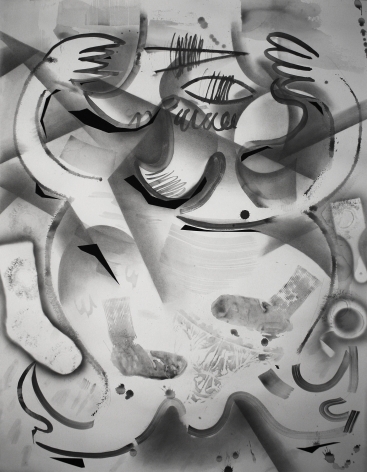 Unlikely pairings and a kaleidoscopic accumulation of imagery create a surprisingly psychic whole. The characters serve as a provocative foil to the artist identity. 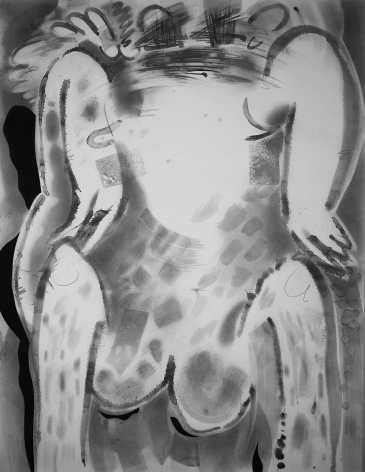 Campbell has invested in figuration and abstraction with an affecting distillation of a tumult of humor and pathos. 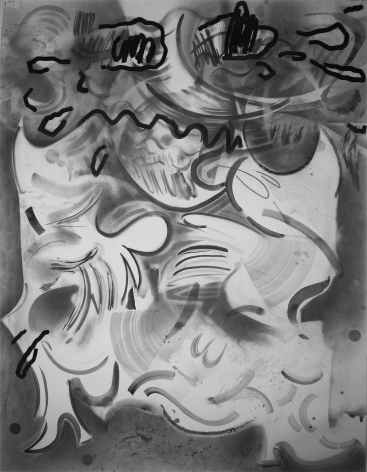 Brian Scott Campbell was born in Columbus, OH in 1983 and lives and works in Los Angeles. He received a BFA from Columbus College of Art and Design and an MFA from Mason Gross School of the Arts, Rutgers University, NJ. 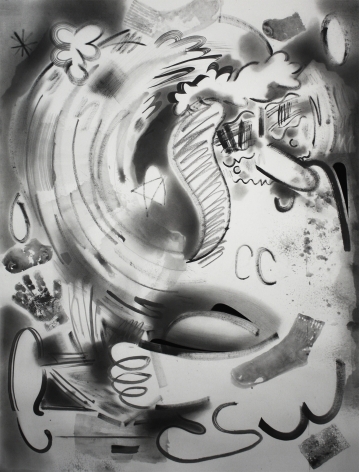 He has been included in exhibitions at Asya Geisberg Gallery, NY, Metropolitan Art Society, Beirut, (Curated by Suzanne Geiss Co.), Jeff Bailey Gallery, David Shelton Gallery, TX, NY, Circuit 12 Contemporary, TX, and Untitled, Miami Beach among others. 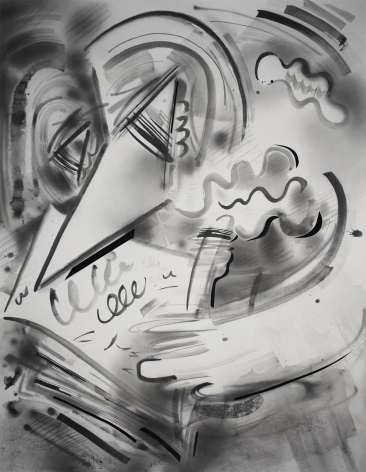 Awards and residencies include Atlantic Center for the Arts Residency with master artist Dana Schutz, a McColl Center for Visual Art Full Fellowship, and the Artist in the Marketplace Program, Bronx Museum, NY. His work has been reviewed in Blouin ArtInfo, Whitehot Magazine, Los Angeles Times, The Huffington Post, Hyperallergic, and Flaunt.